It is always an additional benefit if a particular organization is at the top of the social; media. It can be much easier to draw the attention of new clients and gain more popularity. Also, the existing clients will feel much confident about their investment in that organization. Digital media marketing plays a significant role in a product’s success. On the other side of the controversy, if an organization failed to be up to date on all the social platforms, then it can create a negative impact over the firm. In order to avoid it, stay active over the social platforms which comprise several benefits within it. The process employed in keeping the organization active in the entire social media platform by posting branded visuals and contents is called Social Media Optimization or SMO. The primary objective of SMO is to feed photos, share videos, blogging, bookmarking and similar works to drive traffic towards them. This will aid in saving some part of the money. 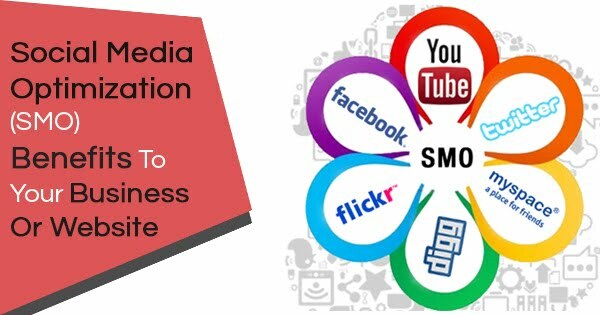 If the SMO is working great for the organization then they need not spend much time over other marketing strategies. They can deal straightaway with the target audience without any disruptions. In addition to that, it will give the extra niche over the other competitors and lead the tough competition prevailing in the market. SMO is one of the amazing ways to make a better presence among promising customers online. There is a list of users who are always active in various social media sites; it is one of the apt platforms for the overall enterprises to connect with the customer base and also to reach the audiences. What are the major rules of SMO? As we know, SEO is a fine art in digital marketing and it defines its best practices in each and every phase. The value of SEO is raised for the site’s performance, especially on the organic search listings. There is a new offering known to be the SMO is provided to the clients. Here lists of five rules are followed for the guidelines with the conduction process of an SMO for the client’s website. Linkability is an important priority for the websites and most of the static websites are updated and it is also simply used for the storefront. In order to enhance the social media sites, it is important to add on the linkability of the content. There are several ways for creating a series of white papers and also for aggregating the content, a useful format. The quick buttons are one of the best ways to make the tagging process an easier one. It is important to tag the pages in the initial stage itself mostly on the popular social bookmarking sites; it includes the homepage too. The inbound links are the major reason for a good overall ranking. In order to encourage more, it will be better to provide clear rewards. SMO is totally a different one and it generally brings more changes to a site. The portable contents are the PDFs, video files and audio files etc. These ones while submitting to the portable sites helps the content to travel and at the same time, it brings more and more drive links back to the site. The content through the factor of RSS makes an easier thing to create the mashups that can drive more traffic to your content respectively. In this digital era, most of us stick to the social media sites in order to promote the brand, content visibility to the targeted audience. There are more and more chance to view the brand name automatically it facilitates the enhanced rate of conversion starting from the normal audiences to the promising customers. There are several ways for customer engagement such as blogging, discussion, and polling etc. In order to create your services and the products to the target audiences, several processes will be performed. No doubt, the preference is eventually enhanced. With the aid of the SMO, it is easy to communicate with the audiences by using the FB, Twitter on the concerned business name and it also ensures good communication with the customers and it automatically enhances the marketing strategies. It is advisable to participate in social media sites in order to give a helping hand for the initiative. The most important advantages of performing SMO are that it gives 100% assurance of higher traffic for any of the website, especially for the enterprises. Most of the brand is participating in several social media trends and it acts as an important productive catalyst in order to reach the right target audiences. Along with more and more people in the present digital era, social media sites are the best one for the enhancement of the organization’s brand awareness including online visibility. This gigantic tool helps the enterprises to combine with the followers and also use this chance to advertise the products and also services through the posts and profiles. The social media is on one of the best power tools in order to win the competition among the competitors. This automatically prompts the customers into the concerned services or products by showing unique features. Along with the social media platforms the enterprises can be easily connected with the customers. Here, communication is also a possible one. It is important to make necessary changes in the concerned services or products.